Tell City Dining Set, Furniture, Tools, Household Decor, Collectibles in Evansville, Indiana by Curran Miller Auction/Realty, Inc. Please Review All Online Terms Prior To Bidding! •	10% Buyers Premium added to the final bid price to determine final selling price. •	Payment made in full on day of pickup by cash, check, VISA, MasterCard or wire transfer. Auction Company will not automatically charge the credit card on file. Buyer is responsible for all wire transfer fees. •	Credit Cards not accepted for purchase of automobiles, titled items, or any purchase over the amount of $5,000. •	You are bidding on the described item not the photograph, occasionally the wrong photo may be displayed, always read the item description. •	Refresh your screen constantly during the closing minutes of the bidding. •	Bidders are responsible for packing, loading, and moving all items purchased without assistance from Curran Miller Auction / Realty, Inc. Auction Company will NOT supply any tools, boxes or packing materials. If you are the winning bidder on large items, please bring help and equipment to load the item. •	This auction is subject to an auto-extend feature. Any bid placed in the final five (5) minutes of an auction, the auction ending will be automatically extended five (5) minutes from the time the bid was placed. Example: If an auction scheduled to close at 6:00 receives a bid at 5:59, the close time will automatically extend 6:04. The auto extend feature remains active until no further bids are received within a five (5) minute time frame. The extension time will apply to individual lots only. •	This auction features a staggered closing. 75 lots will close every 15 minutes until the auction has ended. •	Until the auction begins to close, the bidding software will notify bidders by email when they have been outbid. Bidders may also find out if they have been outbid by refreshing the individual lot information. Due to varying internet connections/speed, please place a max bid or constantly monitor the auction at close of bidding. Sometimes email notifications can be delayed. •	Curran Miller Auction / Realty, Inc. is not responsible for any missing or incorrect listing information. Curran Miller Auction / Realty, Inc. has attempted to provide accurate descriptions of all items in the auction. However, it is the bidder's responsibility to inspect the item and determine the condition of each lot. Descriptions that are provided by Curran Miller Auction / Realty, Inc. are provided in good faith and are matters of opinion. •	Curran Miller Auction / Realty, Inc. and the seller furnish all auction items to buyers 'As Is', unsupported, without warranty of any kind. Curran Miller Auction / Realty, Inc. and the seller disclaims all warranties, express or implied, including the implied warranties of merchantability and fitness for a particular purpose. Items are sold in their actual current condition, with all faults and defects, and with all errors of description. •	Bidders accept all auction items “with all faults”, whether or not immediately apparent. Bidders are responsible for ascertaining actual current condition through personal inspection and careful review of the description, pictures, video and/or support documentation. Every bidder agrees that his or her decision to bid and the amount he or she bids have been based solely on his or her own independent inspection and evaluation of the auction items. •	Curran Miller Auction / Realty, Inc. has full discretion to modify the date and time, order, and details of the sale of any item or conduct of any auction for any reason or no reason at all, including but not limited to technical issues, emergencies, and convenience of Curran Miller Auction / Realty, Inc. or the seller. Curran Miller Auction / Realty, Inc. reserves the right to modify, change, or remove usernames at any time. •	In the event that there are technical difficulties related to the server, software or any other online auction-related technologies, Curran Miller Auction / Realty, Inc. reserves the right to extend bidding, continue the bidding, or close the bidding. Neither the company providing the software nor Curran Miller Auction / Realty, Inc. shall be held responsible for a missed bid or the failure of the software to function properly for any reason. •	Curran Miller Auction / Realty, Inc. reserves the right to reject any and all bids for any reason. An accepted bid is a legal binding contract. Items become the full responsibility of the bidder at the time that payment is received. The bidder assumes all risk of loss or damage to the item at that time. 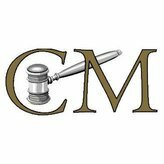 Curran Miller Auction / Realty, Inc. reserves the right to resell any personal property that is not paid for in full by the conclusion of the stated pickup date. In any such event, the bidder will still be responsible for payment for the original purchase and the costs of collection of this payment and/or damages resulting for the resale of the property. •	Curran Miller Auction / Realty, Inc., at their discretion, reserves the right to charge bidder for items arranged for special pick up times. Example, $10.00 for items to be taken back to office and $50.00 for onsite pick up times/dates that differ from those scheduled. Any and all items brought to office will be considered abandoned and become property of Curran Miller Auction / Realty, Inc. after 14 days from original auction pick up date, even if paid in full. •	Buyer and or Bidder agrees to hold harmless and indemnify Curran Miller Auction / Realty, Inc. and its Agents, Owners, Directors, Employees and its Representatives from any and all claims, damages or suits including but not limited to awards, judgments, costs, fees, etc. •	Payment must be made before item(s) are removed by the specified date on the auction advertisement. All sales are final. There are no returns, refunds, or adjustments. •	Curran Miller Auction / Realty, Inc. reserves the right to cancel this auction, or remove any item or lot from this auction prior to the close of bidding. •	The identity of all bidders will be verified. Bidding rights are provisional, and if complete verification is not possible, Curran Miller Auction / Realty, Inc. will reject the registration, and bidding activity will be terminated. The Seller and Curran Miller Auction / Realty, Inc. reserve the right to preclude any person from bidding if there is any question as to the person’s credentials, mental fitness, etc. •	Bidder responsibilities include, but are not limited to: Bidders agree to keep their username and password confidential, as they are responsible for ANY and ALL activity involving their account. When using the web site you must obey any and all local state and federal laws. Violations will result in termination of web site use privileges. Auction company employees and/or Auction Company may bid on items within auction. We gather aggregate information from the web site which may include but is not limited to: number of page visitors, most visited pages, and any and all correspondence. •	If purchases are not settled by the specified pick up day, it will be considered in default. Upon default, the bidder will be black listed/blocked from bidding on Curran Miller Auction / Realty, Inc. auctions, as well as MarkNet Alliance auctions. All defaulted items may be offered to the next highest qualified bidder at the discretion of Curran Miller Auction / Realty, Inc. •	The bidder agrees to pay all reasonable attorney fees and other costs incurred by Curran Miller Auction / Realty, Inc. in its efforts to collect unpaid funds from the bidder. The bidder agrees that a fee of two percent (2%) of the outstanding balance per month be added to any unpaid balance due Curran Miller Auction / Realty, Inc. Any dispute will be tried in a court of jurisdiction in Vanderburgh County, Indiana. •	EACH PARTY HEREBY KNOWINGLY, VOLUNTARILY AND INTENTIONALLY WAIVES (TO THE EXTENT PERMITTED BY APPLICABLE LAW) ANY RIGHT IT MAY HAVE TO A TRIAL BY JURY OF ANY DISPUTE ARISING UNDER OR RELATING TO THIS AGREEMENT AND AGREES THAT ANY SUCH DISPUTE SHALL BE TRIED BEFORE A JUDGE SITTING WITHOUT A JURY. •	By submitting a bid in the name of a business entity or corporation, the individual submitting the bid enters into a guaranty agreement whereby he or she personally guarantees payment to Curran Miller Auction / Realty, Inc. of any bid amount not paid when due by the business entity or corporation, for any reason, together with all collection expenses incurred to enforce collection, including a reasonable attorney's fee. •	If, for any reason, Curran Miler Auction / Realty, Inc. is unable to make available or deliver any Purchase, or portion thereof, or documentation required in respect of any Purchase at time of pickup, the sole liability of Curran Miller Auction / Realty, Inc., if any, shall be the return of any paid monies in respect of such Purchase upon its return by Purchaser. •	Any dispute between Curran Miller Auction / Realty, Inc., its Agents or Representatives and the Buyer(s) will be tried in a court of jurisdiction in Vanderburgh County, Indiana. By bidding on any item, buyer agrees to all terms and conditions set forth.